Meridian, ID – Melaleuca CEO and co-founder Frank VanderSloot and his wife Belinda released a statement Tuesday announcing their endorsement of Republican Russ Fulcher for Congress. The VanderSloots are long-time supporters of Republican causes in Idaho and nationwide, and renowned philanthropists. 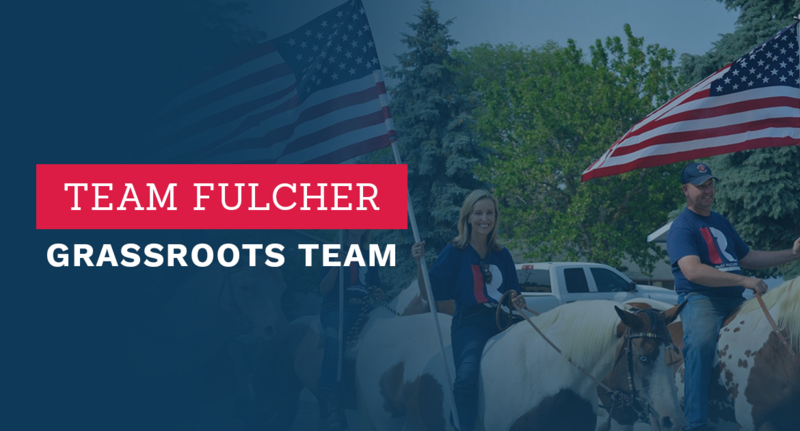 Meridian, ID – After filing his final FEC fundraising report before primary election day, Republican Russ Fulcher announced raising more than $408,000 since launching his campaign for Congress in June 2017. This includes more than $141,000 in contributions from the latest FEC period. 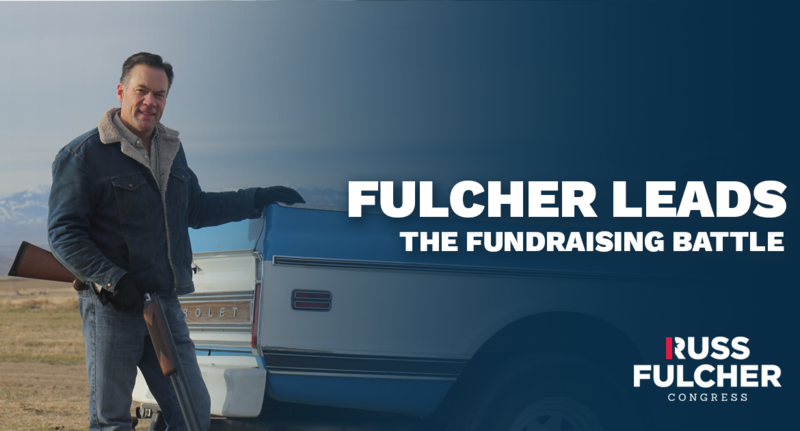 Fulcher leads all candidates in most funds raised this period, most funds raised total, most Idaho donors, and cash on hand going into the last month of the election. Meridian, ID – Russ Fulcher, candidate for Idaho’s open congressional seat, is excited to announce his “Freedom Tour,” a series of town hall events across the First Congressional District. The tour will kick off on Monday, March 5th in Russ’ hometown of Meridian and continue throughout the district. The Hon. Mayor of Meridian, Tammy de Weerd, will be introducing Russ during the tour kickoff. Each stop will be an opportunity to meet Russ, ask questions, and have your voices heard! All events are open to the public, and media personnel are welcome! Meridian, ID – Former State Senator Russ Fulcher, candidate for Idaho’s open Congressional seat, will be hosting a town-hall style forum next week at North Idaho STEM Charter Academy in Rathdrum. The public and news media are welcome to attend. The forum will be the first of many over the next four months, and Fulcher hopes that the experience is mutually beneficial. Meridian, ID – Russ Fulcher, candidate for Idaho’s open Congressional seat, is excited to announce his grassroots team across Idaho’s 1st Congressional District. 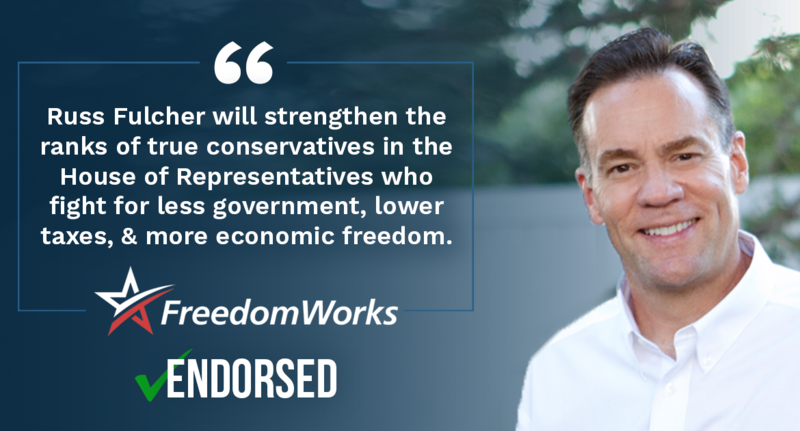 Meridian, ID – International businessman and former State Senator Russ Fulcher is honored to announce that the FreedomWorks for America PAC is endorsing his candidacy for Idaho’s 1st Congressional District. “As an international businessman and legislator, I have championed the principles most important to FreedomWorks – which is America’s free enterprise system and limited government”, said Russ Fulcher. “Having the confidence and support of FreedomWorks is a tremendous honor and a boost to our campaign”. 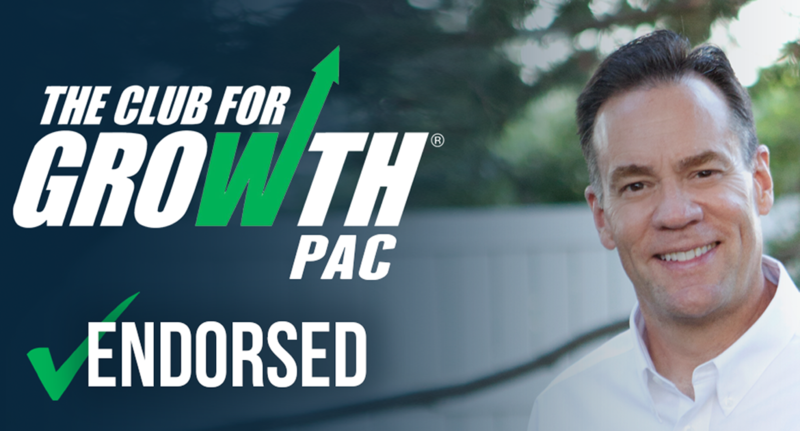 Meridian, ID – Former State Senator Russ Fulcher, candidate for Idaho’s 1st Congressional District, is honored to announce that The Club for Growth PAC is endorsing his candidacy for U.S. Congress. With a nationwide network of pro-growth Americans that believe in limited government, the Club is the leading free market advocacy group in the country. “Club for Growth PAC is thrilled to announce support for Russ Fulcher and his campaign for Congress,” stated Club for Growth PAC President David McIntosh. 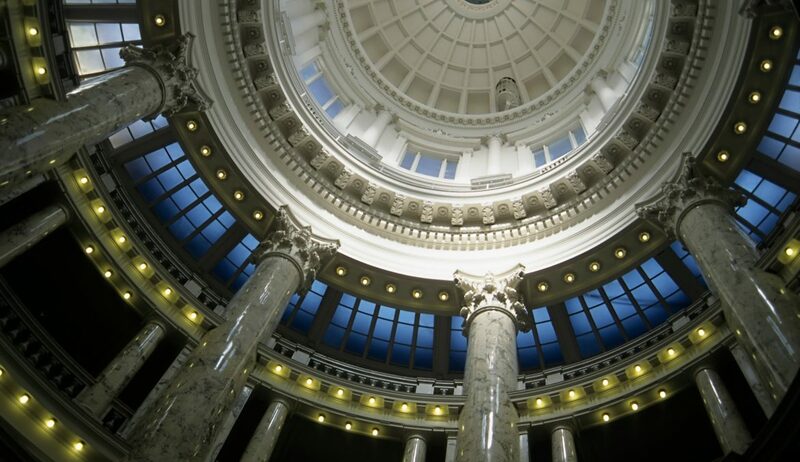 “Russ is a conservative hero in Idaho politics. While serving as a state senator, Fulcher led the fight against the implementation of the state’s Obamacare exchange. He also was a staunch opponent of Obamacare’s Medicaid expansion and led the effort to eliminate the state’s sales tax on groceries. 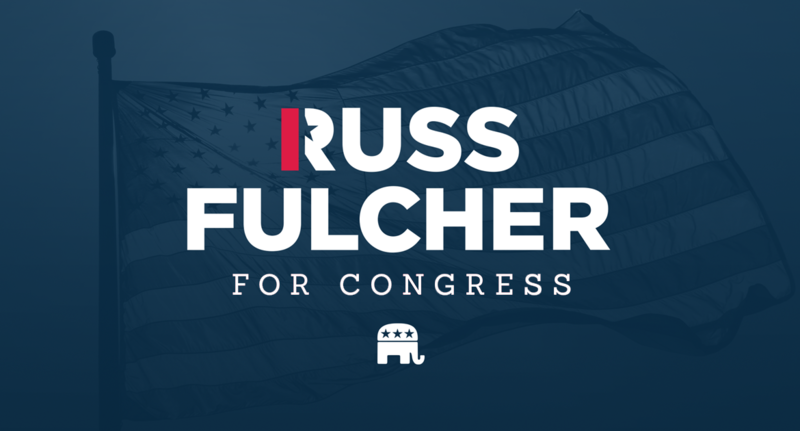 Meridian, ID – Candidate for Idaho’s 1st Congressional District Russ Fulcher is reporting $153,298 in total funds amassed since entering the race, the highest total among all of the declared candidates. The Fulcher campaign is showing $102,115 in receipts from the most recent period, ending in the federal reporting deadline of September 30th. Fulcher has received the endorsement of Congressman Raúl Labrador, the current and outgoing representative of Idaho’s 1st Congressional District. Fulcher is also carrying a large and growing list of endorsements from elected officials across Idaho at the state and city levels. 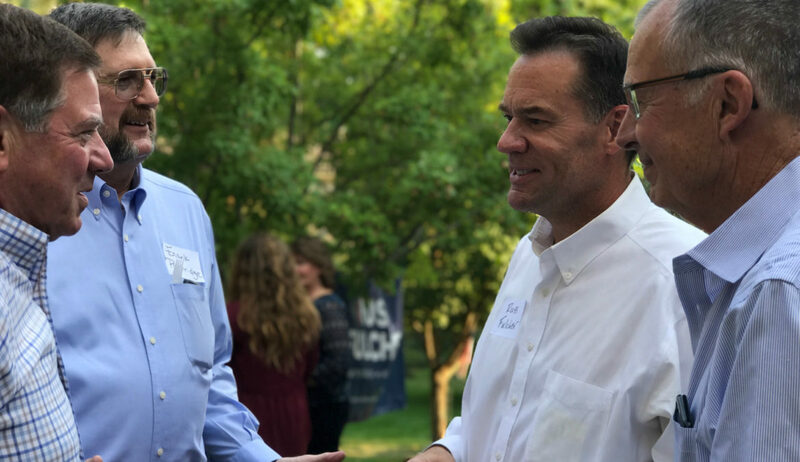 Boise, ID – After recently announcing his candidacy for Idaho’s 1st Congressional District, Russ Fulcher is touting the support of a robust number of elected officials and community leaders. Fulcher also raised over $54,000 while fundraising for only seven days before the federal reporting deadline, June 30th. Fulcher has received the endorsement of Congressman Raúl Labrador, the current and outgoing representative of Idaho’s 1st Congressional District. Elected officials in support of Fulcher include Tammy de Weerd, Mayor of Meridian and Fulcher’s hometown. 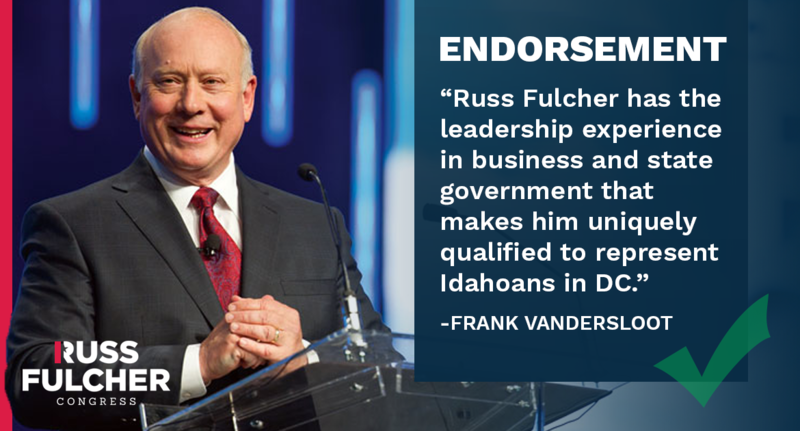 Idaho Treasurer Ron Crane has announced his support of Russ as well. Boise, ID – Former State Senator and current gubernatorial candidate Russ Fulcher announced today that he will be withdrawing from the Governor’s race and seek Idaho’s 1st Congressional District seat currently held by Rep. Raúl Labrador.